This paper highlights some of the inadequacies of the film, foremost, its unoriginality. It features a plot structure that is featured in many of Hitchcock’s films, that of an falsely-accused man seeking to prove his innocence, and more specifically, the film bears more similarity to The 39 Steps (1935) of all the films that exhibit that plot structure. 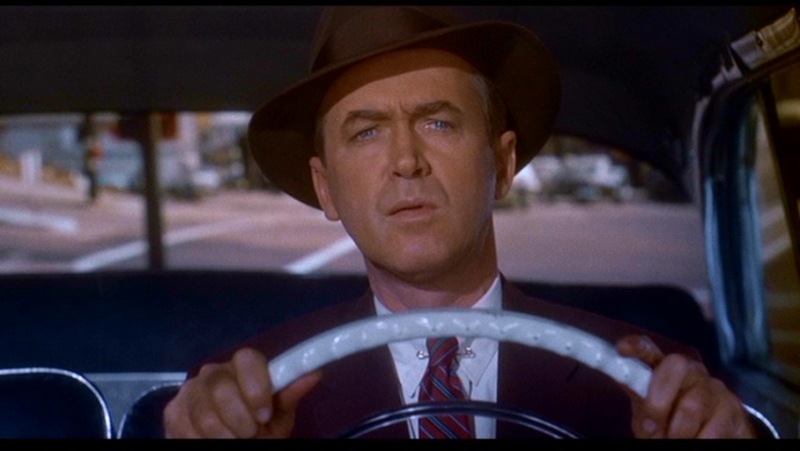 The police are as harshly depicted as in any other Hitchcock film despite the argued purpose of the film, to boost morale, and facilitate the ousting of criminal agents that threaten national security. In this regard, a major theme of the film is deceptive appearances. Because the promotion of patriotic ideals takes precedence over plot and character development, Saboteur can be classified as a propaganda film. Various motivations for producing a propaganda film are suggested. 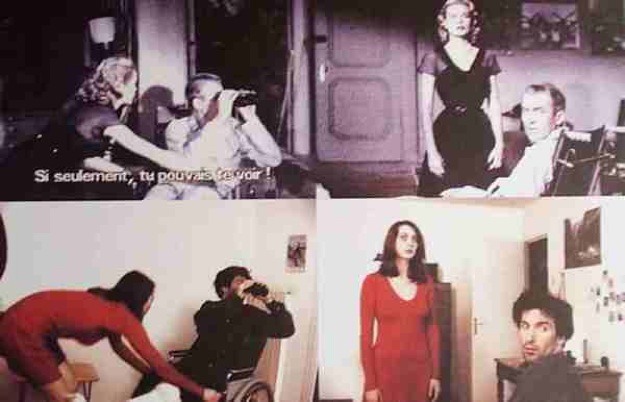 The film’s characters are analyzed in the context of representing artificially conceived ideas. This includes the central character, Barry Kane (Robert Cummings), who occupies the unique position of serving as a model citizen. The depth of his character suffers as a result, as he faces virtually no moral conflict as a result of his unyielding confidence. The main point is that Barry Kane is simply a representation of the ideal. This entry was posted in Student Projects on May 4, 2014 by wander. Pierre Huyghe is a French artist. As the title implies, Remake is a remake of Rear Window. Unlike most remakes, Remake was not intended to in any way improve upon the original, and was screened at exhibitions rather than theaters. The film was a minimalist, low-budget shot-by-shot reconstruction of Rear Window, shot in a Paris suburb over two weekends. Amateur actors were instructed to mimic the behavior of those in Rear Window. It was Huyghe’s intention to merge cinema and contemporary art and compare them. This entry was posted in Hitchcock and Contemporary Art on April 19, 2014 by wander. 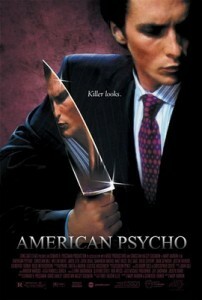 American Psycho is a film that is upfront about its inspiration. There are the obvious references in the title as well as the name of the name of the central character, Patrick Bateman, and the the thematic similarities confirm a degree of similarity. Psychological instability due to an erosion of identity is a key theme common to both films. However, being a comparatively new film, American Psycho had a much different feel to it. Bateman’s detached personality numbs the viewer to an abundance of shocking scenes that would not have survived 1960s censorship. This entry was posted in Hithcock's Legacy on April 3, 2014 by wander.